- those needing moderate moisturizing and nutritive actions. 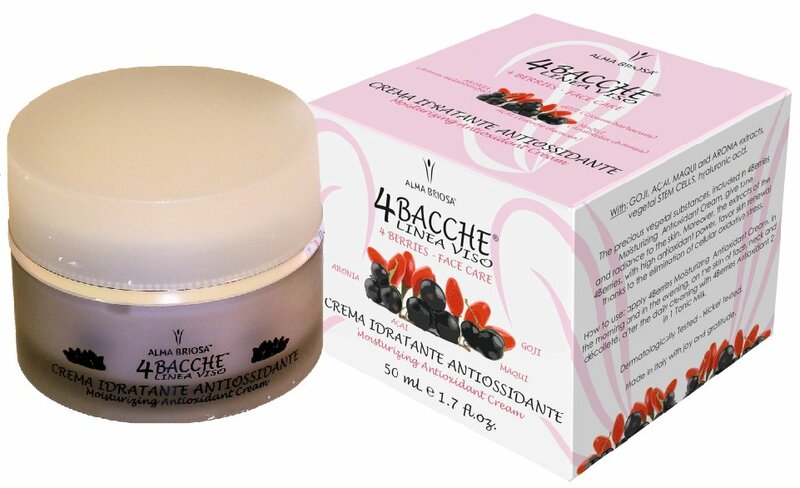 The precious vegetal substances included in 4Berries Moisturizing Antioxidant Cream, provide the skin with tone and radiance. Moreover, 4Berries extracts, with high antioxidant power, favor skin renewal through the elimination of cellular oxidative stress. How to use: gently apply 4Berries Moisturizing Antioxidant Cream on face, neck and décolleté after 4Berries Antioxidant 2 in 1 Tonic Milk daily cleansing. 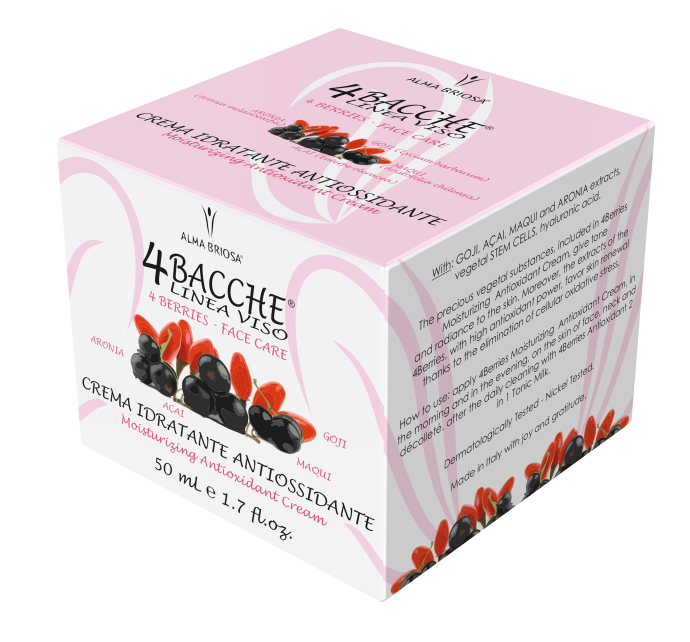 INCI	 INGREDIENTI/INGREDIENTS: Aqua**, Cetearyl alcohol**, Cetyl alcohol**, Glycerin**, Dicaprylyl carbonate**, Glyceryl stearate**, Caprylic/capric triglyceride**, Aristotelia chilensis fruit extract */**, Aronia melanocarpa fruit extract**, Euterpe oleracea fruit extract**, Lycium barbarum fruit extract**, Sodium hyaluronate**, Vitis vinifera fruit meristem cell culture**, Cetearyl glucoside**, Xanthan gum**, Benzyl alcohol, Potassium sorbate.